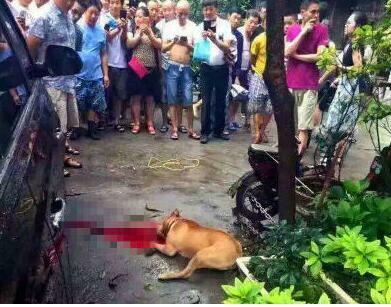 A pit bull was shot dead by police after it repeatedly mauled its owner on the street in Yichang, Hubei Province on July 18, The Paper reported. The man, surnamed Rao, was seriously injured while taking the dog on a walk before he was attacked by it in the morning on that day. 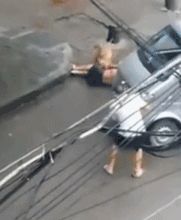 A video shared online shows a passer-by trying to help him with a stick. When the police officers arrived at the scene, the dog had run away to its former owner's yard. Policemen shot it to death after they asked for the owner's permission. According to the report, the former owner of the dog was Rao's friend. Rao had surgery at a local hospital and is not in critical condition. The two sides dealt with the compensation in private. Police explained that the dog was in heat so it went crazy and attacked its owner. 5Who Will Fit The Chinese Roles In Game Of Thrones?